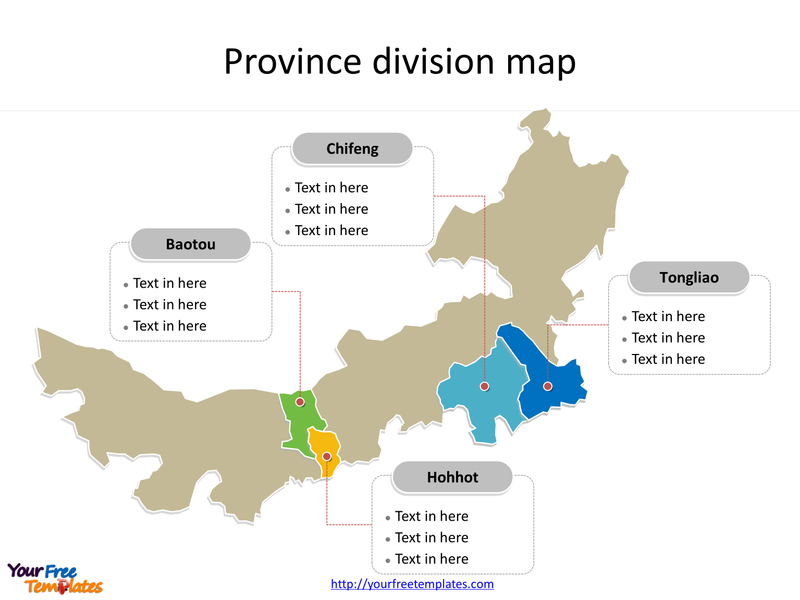 The Province of Inner Mongolia map Template in PowerPoint format includes two slides. Firstly the Inner Mongolia maps with outline is labeling with capital and major cities. Secondly the Inner Mongolia maps with outline is labeling with major divisions. 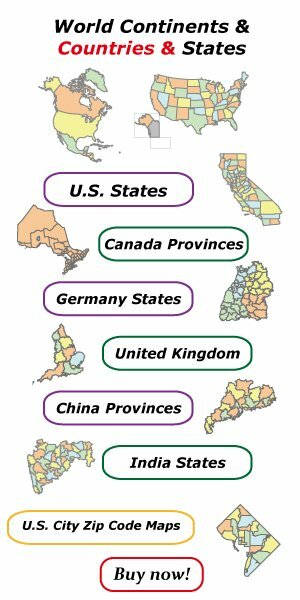 So our Inner Mongolia maps PowerPoint templates have capital and major cities on it. They are Hohhot, Baotou, Chifeng, and Ordos. Finally the most populated divisions are Hohhot city, Baotou city, Chifeng city, and Tongliao city. 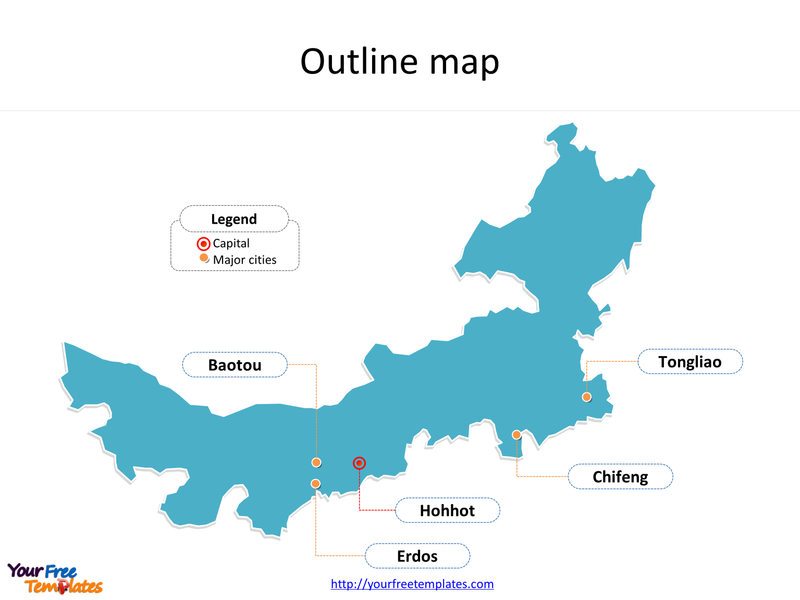 The Inner Mongolia maps PowerPoint templates include two slides. Our Province of Inner Mongolia map is for the one of the autonomous regions of the People’s Republic of China, located in the north of the country. Its border includes most of the length of China’s border with Mongolia. The rest of the Sino–Mongolian border coincides with part of the international border of the Xinjiang autonomous region and the entirety of the international border of Gansu province and a small section of China’s border with Russia. Its capital is Hohhot; other major cities include Baotou, Chifeng, and Ordos. You can found them in our Inner Mongolia maps PowerPoint templates. The most populated divisions in Inner Mongolia province are Hohhot city, Baotou city, Chifeng city, and Tongliao city. What is more, Its area makes it the third largest Chinese subdivision, constituting approximately 1,200,000 km2 (463,000 sq mi) and 12% of China’s total land area. The labels and shapes are layers of different groups. In a word, you can change the texts, colors, sizes, and add your charts. At the same time you can also refer to the fully labeled Province of Inner Mongolia in Wikipedia. Believe it or not, analysts from marketing research companies, consultants from professional firms think highly of our website yourfreetemplates.com. Most important of all, our maps can help to reduce their efforts and create good-looking maps.